Facial treatments are a time honoured tradition in many cultures. They have prepared princesses to be presented to kings, have medicinal properties to cure skin ailments and sooth the emotions of the stressed and over worked. Although times have changed the need for facial treatments has not. At Soho Skin Rejuvenation, Westfield Chermside Shopping Centre, our facials are the precise mix of luxurious relaxation facials with clinical medi-spa results. We believe that good skin health requires regular facial treatments to ensure your most important protective asset, the skin, is always in it’s best barrier protection equilibrium. Your first step to skin health and body confidence. The focus is always holistic skin and body health. By reaching for this goal you will notice a variety of age related and body imbalance issues start correcting themselves. Our a la carte facial curator, Maree Andersen, is a renowned Para-Medical Skin Health Practitioner & Facialist with over 25 years industry experience from Makeup Artistry through to Dermal Therapies. Maree’s signature facials deliver immediate, long lasting and accumulative results utilizing the best non-invasive medical & spa industry techniques available. A must to prepare your skin for a special event & the comfortable way to turn back the clock on aging. Enjoy bliss & results with our one of a kind luxury facial treatments that easily rival any signature facial you have ever had. A twist on the traditional deep cleansing facial. A blackhead clearing steam & extraction facial for ultra clean & refined pores. A monthly skin health ritual. 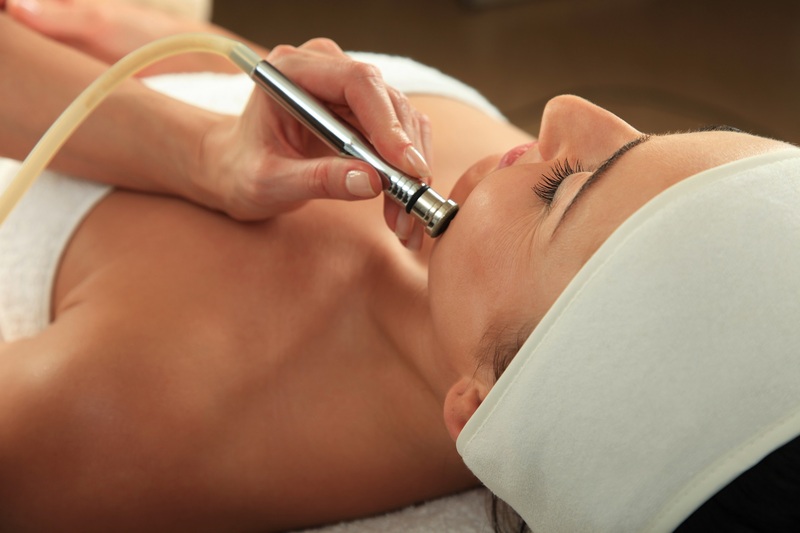 Our multi layered, designer microdermabrasion facial will refine & brighten a dry and lack lustre complexion. A custom designed medi-peel facial to brighten, plump, hydrate & restore skin radiance. Maree’s signature epi-blading facial. A multi layered exfoliation treatment that scrapes away vellus hair, sun damage & scarring to define facial contours, smooth skin texture & infuse natural radiance. All results with lots of spa rituals, so no hidden add ons. A seriously addictive facial leaving you with silky, smooth skin. Your skin will come to life with a bespoke multi layered cocktail of buffing, peeling, booster infusing, LED light therapy & spa massage activation. The final result is your skin glows with a renewed light & vigour as if from within & lasts for weeks. Recommended by Weekend Notes. Shhh, this is the secret age defying treatment celebrities won’t admit to. The Hollywood Laser Facial. A bespoke laser facial dramatically stimulating the production of collagen, elastin & hyaluronic acid deep within the skin. Monthly treatments will lift & firm the skin whilst tightening & clarifying to give the starlet glow of skin health. A popular treatment for anyone in the public eye as it primes facial contours to become the ideal canvas for studio makeup. A prior laser consultation & patch testing is required. Our Signature Facials A La Carte Menu has been designed to address your skin health concerns while allowing you to relax and unwind with traditional spa rituals. Extraction facials through to medispa facials for skin health tranformation, we cover them all here in our luxury Brisbane boutique salon located in Westfield Chermside Shopping Centre. Brighten & illuminate dull, pigmented skin in a flash with this multi-vitamin party peel. Gentle botanical pore refining, exfoliating & skin balancing facial for regular skin maintenance. An ultra relaxing, dermal boosting LED facial for age defying skin balancing. The total bliss experience! European spa luxury meets clinical line plumping. A clinical grade peptide rich facial ritual that delivers unsurpassed results thru specialized massage, instant line filling & wrinkle relaxing. Expression lines melt away, dull, devitalized skin awakens to a dewy glow. A truly indulgent, results driven & addictive facial. You will want to book the next visit before you leave. Re-define facial contours with V-Matrix non surgical facial lifting. A luxuriously divine facial contouring treatment using massage techniques and state of the art clinical sculpting agents to lift, define, support & stimulate the skins natural anti-aging processes. The result is an instant lift that will improve with the use of supporting home care & every future treatment performed. Uneven skin tone, dark blotchy spots & scars can weigh heavily on your self confidence. Melasma, dyschromia, sun spots & surface pigmentation is brightened & clarified with fruit acids, dermal boosters and melanin balancing LED light therapy to reveal a fresher, clearer & more radiant skin. Truly the imbalanced & reactive skin’s saviour. This customized medi-facial uses botanical actives, pro-biotics, enzymes & oxygen with LED light therapy to breathe a new lease of life into sensitive, dull, congested & reactive skins. When fatigue, harsh environments & erratic sleep deprivation leaves your skin parched, dry & dull this bespoke collagen activation facial utilises collagen, serums, peptides & LED light Therapy to enliven the skin and restore youthful radiance. Our most popular lifting medispa facial. Natural, non toxic and concentrated clinical organic skincare is increasing in popularity due to the high occurance of allergies and reactive skin conditions. Our Organic Super Facials, performed in our Westfield Chermside Facial Rejuvenation Spa, are the naturalist’s answer to lasting clinical results without compromising on their principles. Dull, congested and acne prone skin types. A powerful illuminating facial enriched with an organic double peel to nourish & stimulate collagen production with a firm European inspired skin lifting & drainage massage to help clear away toxins, firm & brighten the skin. Quench thirsty & irritated skin with the power of the organic succulent Stone Crop. Soothing, hydrating and surface skin plumping your complexion will be restored to a state of more youthful, dewy bliss. Irritated, sensitive & reactive skin. Achieve a state of skin zen with calming organic botanical layering. This luxuriously soothing treatment leaves your skin looking fresher and feeling calm. We know life can be hectic so we have a quick 10 min Glow Peels that means you can have your clinical skin peel each month quicker than it takes to order a cup of coffee and enjoy it. Will one deluxe facial give me enough results to last a year? In short, no. Indeed 1 x Red Carpet Ready Facial, for instance, will certainly plump up your lines & wrinkles dramatically for a special event. But, in order to keep the skin firming and plumping going, you will need to have repeated treatments at regular intervals and use the supporting skincare daily to see long term results. Yes. We offer an LED membership that allows you to have up to 3 LED facial treatments a week over the course of your membership period with the option to add on discounted treatments such as peels, masks and microdermabrasion. Ask your facialist about this cost effective celebrity ageless skin secret.